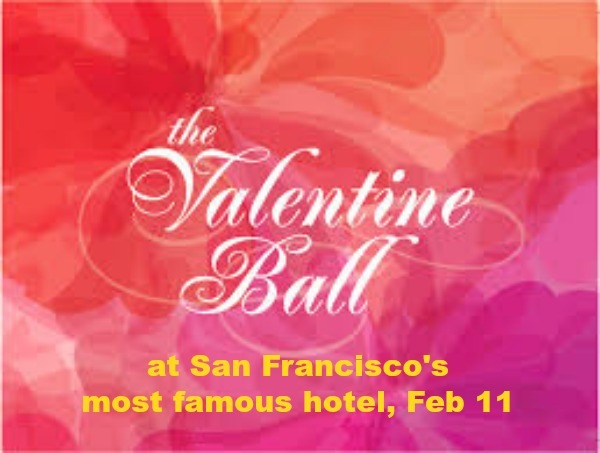 400 singles attended last year’s Valentine Ball at San Francisco’s most famous hotel! Don’t be afraid to dress up for The Fairmont’s spectacular Terrace Ballroom. $15/advance (by Feb 10) or $25/door includes dancing to your favorite hits with one of our top DJs. Adults of all ages welcome. Saturday, February 11, 2017, 8pm-Midnight. LOCATION: The Fairmont, atop Nob Hill, 950 Mason Street at California, San Francisco CA. CO-SPONSORED by The Society of Single Professionals, the world’s largest non-profit singles organization; Single Professionals Internet Network (SPIN), Your Asian Connection, Single and Professional in the Bay Area, Cougar Events & Cruises, Beyond 40, Social Fun, Lifestyle Parties, 40+ Meetup, Golddigger Events, 50+ Connects, and many other major singles organizations and meetups. DISCOUNT & more parties at www.thepartyhotline.com or 415-507-9962.